Courtesy of Dog Year Entertainment and The Comic Bug, we have a set of AUTOGRAPHED comic books from writer, Brian Buccellato. 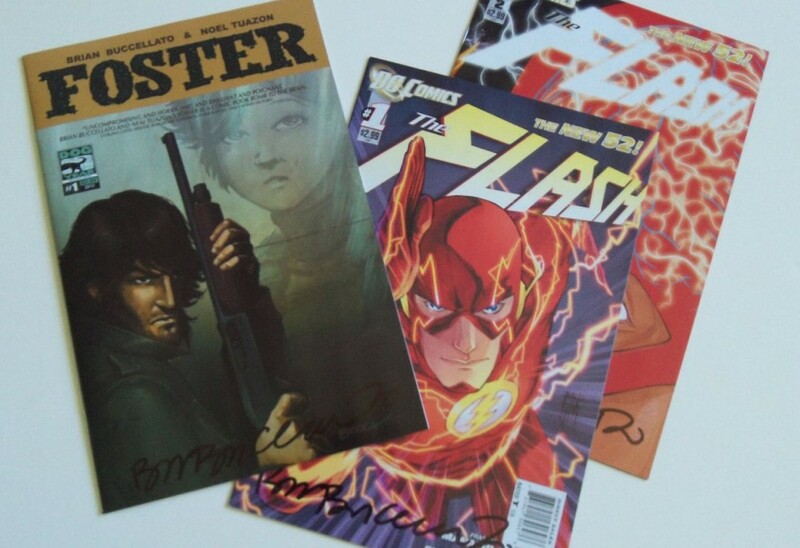 Included in the set are Flash #1 and #2 (New 52) and the first issue of Foster, Brian’s new creator owned series. Be sure to request Foster at your local comic shop! We have three sets to give away!